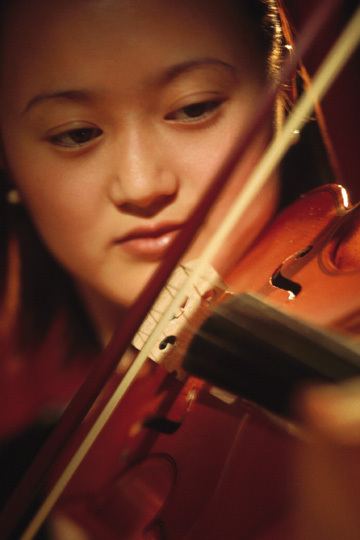 Is a Prodigy instrument right for you or your student? What do you do when you have an above average student who has to settle for playing an average instrument? Your students rely on their instruments to help them make music that truly reflects their technical expertise, talent and hard work. Prodigy Instruments are ideally suited to students brimming with potential	….students who deserve greater sound and performance than their current instrument can deliver. Is your student having a hard time making progress? Is the problem that she’s not working hard enough, or is her instrument one of the obstacles she’s struggling to overcome? Prodigy Instruments come in fractional sizes	, so we have the ideal sizes available for younger students’ smaller hands. Your student can stop struggling with that instrument that is too large or move up from the one that she has already out grown. Many students and teachers, find that a new, hand-crafted Prodigy instrument leads directly to the breakthrough they’ve been working so hard to achieve. The clear, strong sound travels from the stage to the farthest rows of the balcony. It’s easy to justify the purchase of a superior instrument, but it’s not always easy to justify the price. It was this challenge that led to development of Prodigy instruments. We’re musicians ourselves. We’ve made it our mission to provide high quality string instruments that are affordable to all promising players	. And it wasn’t easy. We searched far and wide for craftsmen with the talent and skill to create each instrument by hand. But we didn’t find them in Europe. Our instruments are made, one at a time, by Master-Craftspeople in China. These dedicated specialists each travelled to Europe to learn the time-honoured techniques that were once the cornerstone of European instrument making. Learn how Prodigy instruments, made with careful craftsmanship and superior materials, are equal or sometimes superior to their European counterparts	.